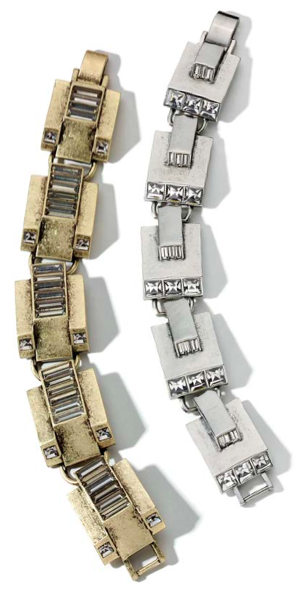 Described by the company as “a combination of utilitarianism, futurism and fantasy with a revamped Victorian touch”, the Industrielle collection combines matte metals with crystal, resin and enamel into pieces that are high fashion with elements of industry and architecture seamlessly included. Below you’ll find a brief look at this new collection, but you can find it in full on the Industrielle information sheet. 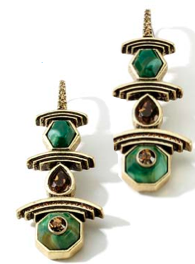 The first section of this new collection features earrings, cuff bracelets and necklaces that come in matte gold and black diamond crystals, matte silver and jet crystals and matte gold with forest green resin. 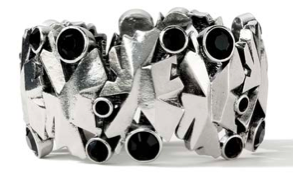 These earrings and bracelets feature matte gold with black diamond crystals or matte silver with clear crystals, while the rings add in a touch of moss green enamel with the gold and jet enamel with the silver. 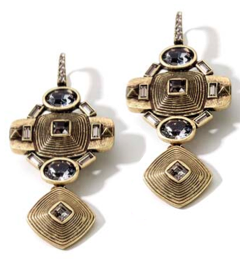 Earrings, bracelet and ring feature a stacked concentric squares in matte gold with black diamond crystals or matte silver with clear crystals. Though they share the same name and curved accents, these earrings are very different. 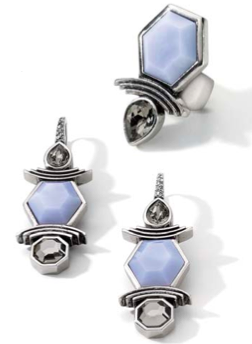 One set features smoky crystals and moss green enamel in matte gold while the other combines black diamond crystals with light blue enamel in matte silver with a corresponding ring. 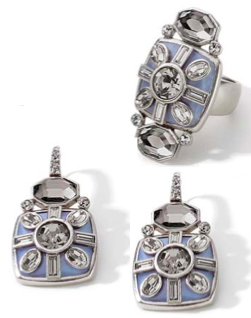 This ring and earring set features black diamond crystals in a compass pattern against a field of light blue resin set into matte silver. 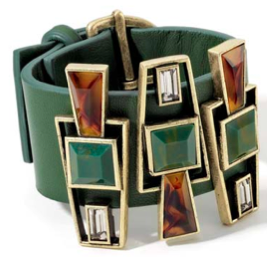 Matte gold teams up black diamond crystal with moss green and tortoise resin in the necklace, earrings and bracelets of this portion of the collection. With 11 pieces, this set features rings, bracelets, a necklace and earrings in matte silver with black diamond crystals along with cornflower, jet and navy as well as matte gold with smoky crystals and accents of bone, black and moss green enamel/resin. 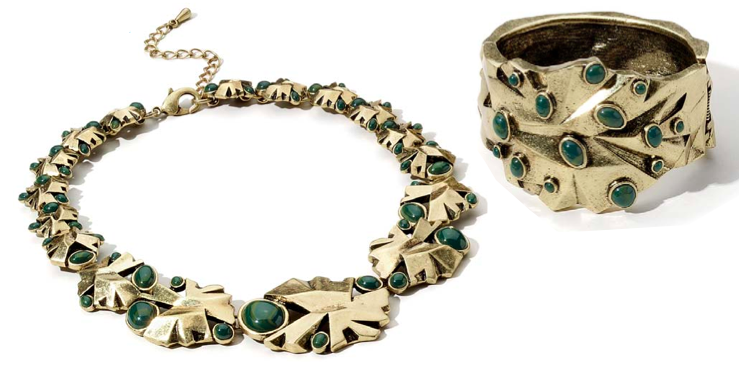 This statement bracelet and necklace set features cone bangles capped with crystal and enamel in matte gold with black diamond crystals and green enamel and matte silver black diamond crystals and cornflower blue enamel. With this topping out at $500 for the most expensive piece, this collection is one of the more affordable Red Carpet Collections. In fact, a number of the pieces actually fall into the $75-100 range when purchased as a part of the Customer Save Plan.